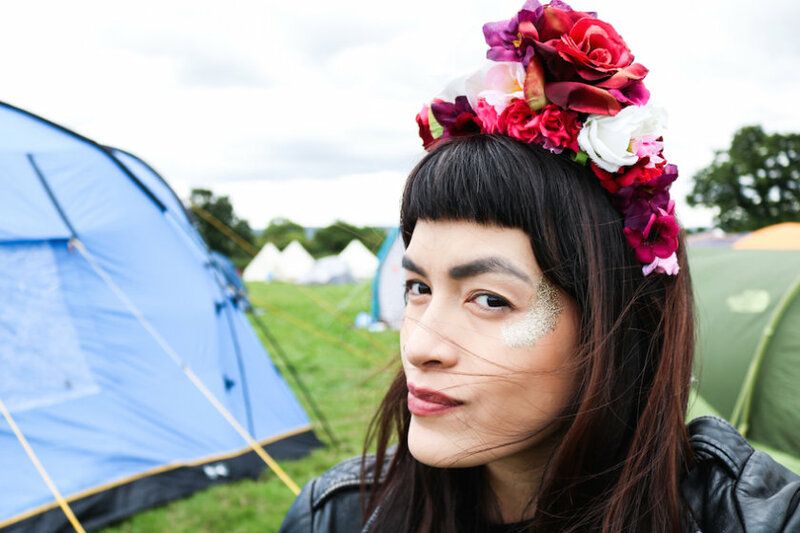 When you think of festivals, you may think of glitter, booze, dancing, raging hangovers and general mayhem. 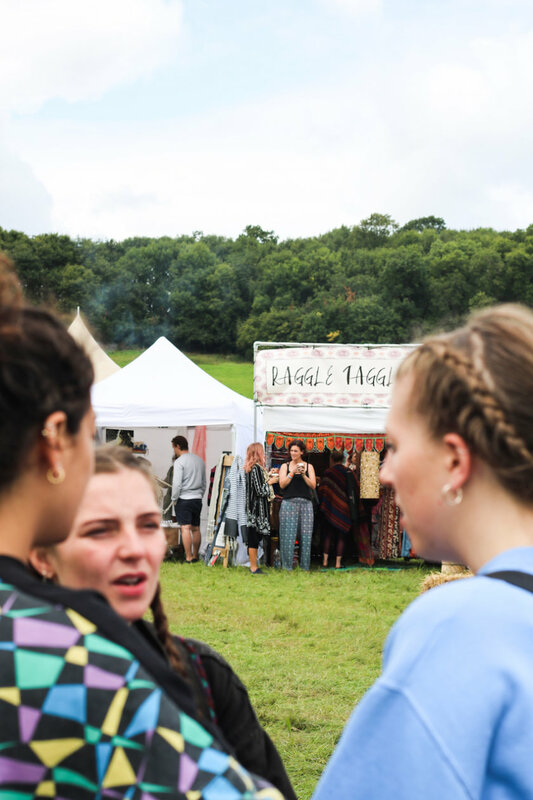 The majority of England’s festivals have all of that and more, but why not take some time out from the rollercoaster ride of festival season for something that will nourish you both inside and out, and leave you feeling better than you arrived: a yoga festival. 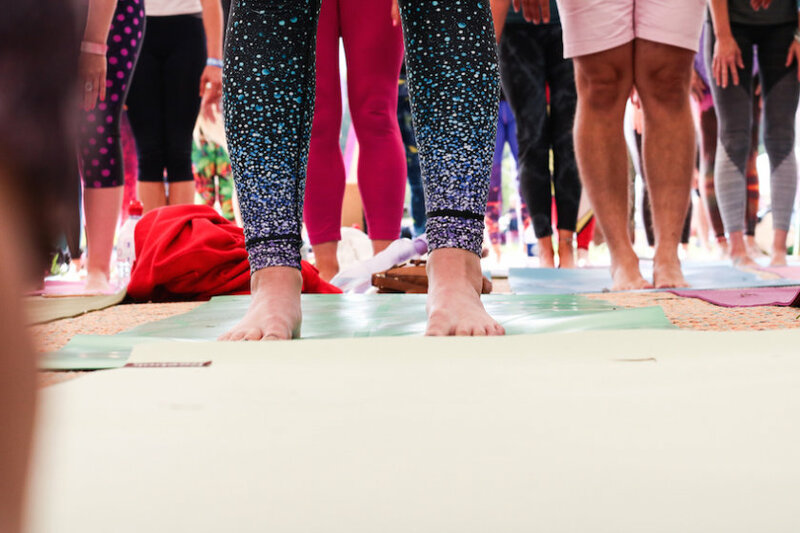 I had the pleasure of hitting up SoulCircus the other weekend: a three day yoga and wellness festival in the beautiful Cotswolds, barely 45-minutes outside of Bristol in Gloucestershire, England. 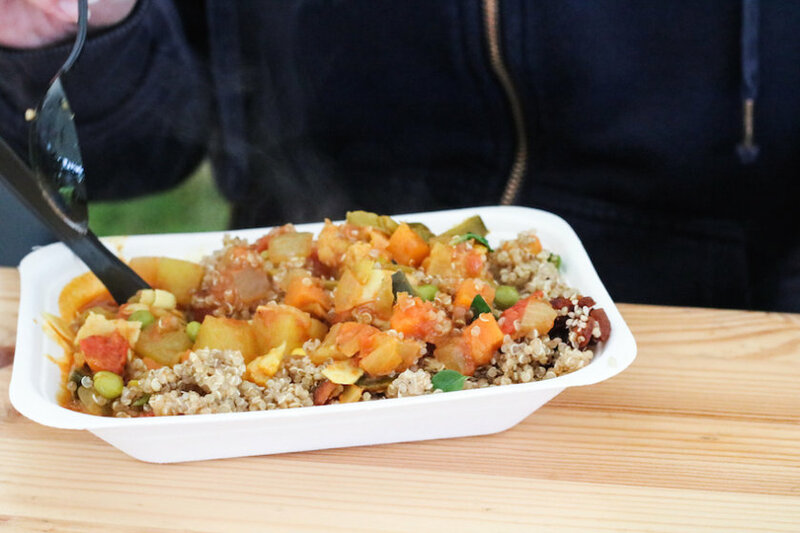 Stocked full of yoga sessions, meditation, workshops, and of course, healthy grub that will put a smile on any vegan’s face, it certainly sounded like it would be wholesome… But I wondered if it would be too hippie? Would the OMing be too intense? Would I want to Savasana the days away? Would my beloved snacks be taken, only to be replaced with kale? 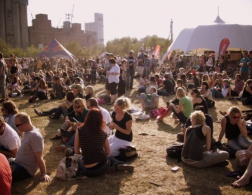 Am I really so disillusioned and conditioned to think all festivals must be messy? 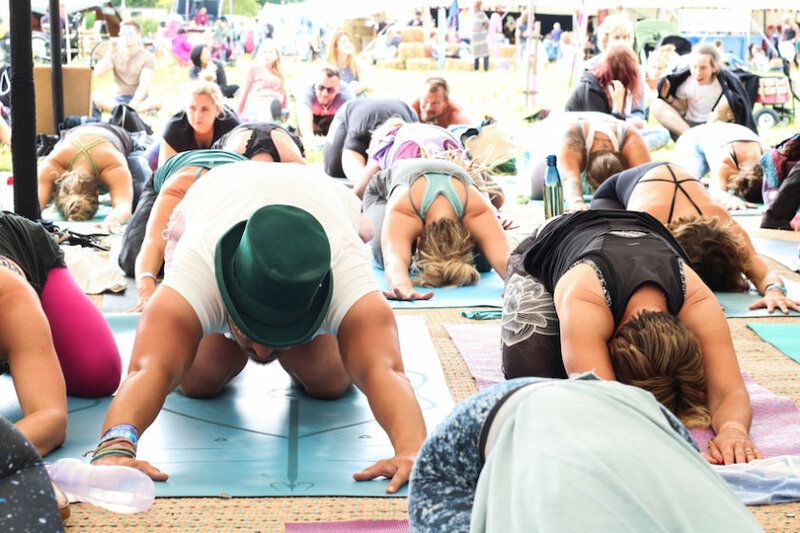 I may need a kick up the bum when working out when traveling, so the idea of popping into a yoga festival whilst seeing the UK for a much needed burst of exercise and health should be on everyone’s itinerary! Since the summer is slowly dying off, I had to take this opportunity to nip out into the great outdoors, and if that also meant I could get in some beloved yoga then I was game. 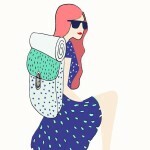 But first, let’s look at what you should pack for a yoga festival. Grab a 4-man tent if you want some extra room to stash your snacks belongings. We’ve been mistreated this August by the British weather system, so we had to make sure we had a decent tog sleeping bag for those chilly nights. Of course you need this for the yoga sessions, but this also makes a handy sleeping mat. Bring a slightly thicker one (4mm) if you can to make your nights extra comfortable. In the words of Goldilocks, you need a backpack that’s just right! One that’s not too big and not too small. I took the Osprey Fairview 40L bag. Not only is this small enough to be cabin baggage size for flights, but it opens up like a suitcase so you can easily get to all your belongings while crammed in a tent. 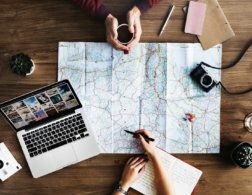 Roll your clothes up, make use of the many pockets, shove bottles of water or gin in the outside mesh pockets and carry the weight across padded shoulder straps. If you’re deliberating on wether to take that extra thick jumper with you… stop thinking and just DO IT. 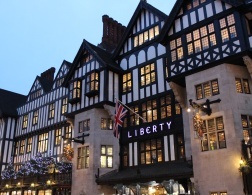 It gets pretty nippy – having at least two really snuggly jumpers and a thick pair of leggings will make the world of difference after sunset. 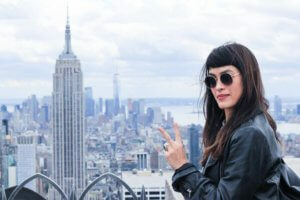 If the wind picks up, a leather jacket will cut out that nonsense (plus it’ll look badass). If the rain falls (which is usually the case in England), a light-weight waterproof should always be in your pack. And lastly, a scarf. Even if you don’t need it during the day, it’ll make a cosy addition around your neck/head when you’re snuggled in your sleeping bag. Pocket tissue, baby wipes, toilet paper, facial wipes, deodorant, dry shampoo, whatever you need to make youself look semi-decent after a night sleeping in a plastic box. 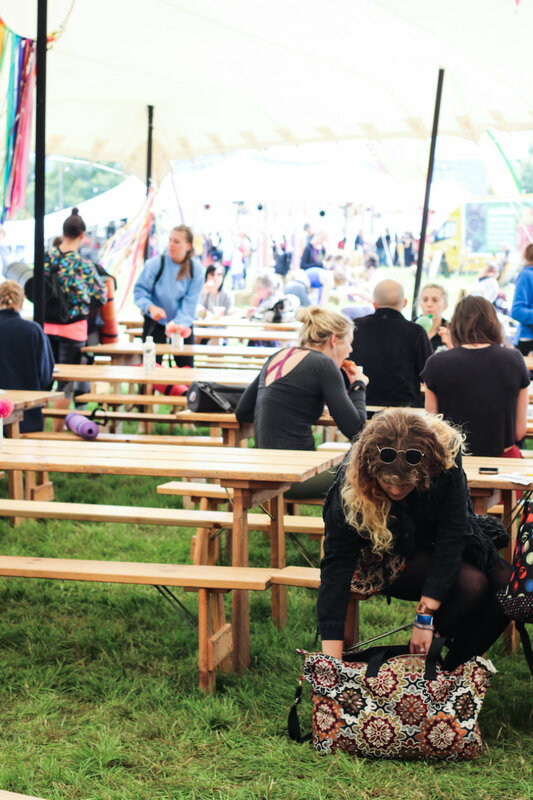 There were showers available for £5 on-site, so bring a towel if you like the sound of those! 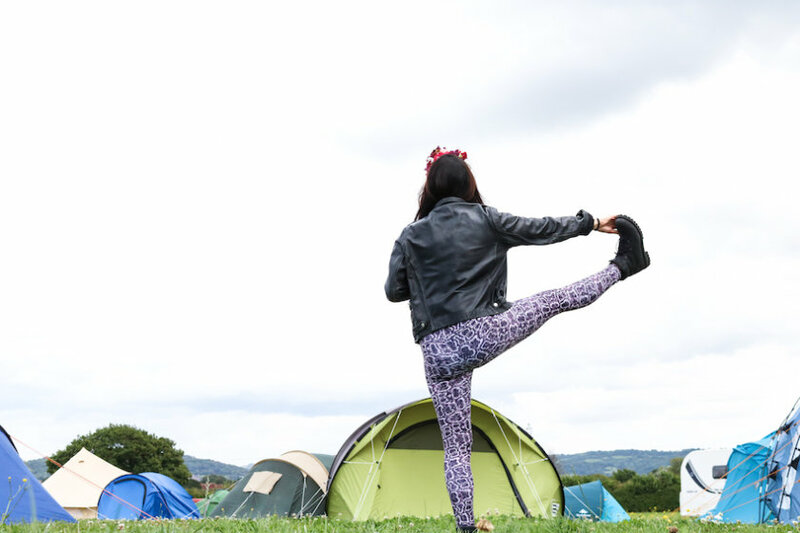 Luckily, there are some awesomely flamboyant yoga gear out there which also happen to make for perfect festival gear. 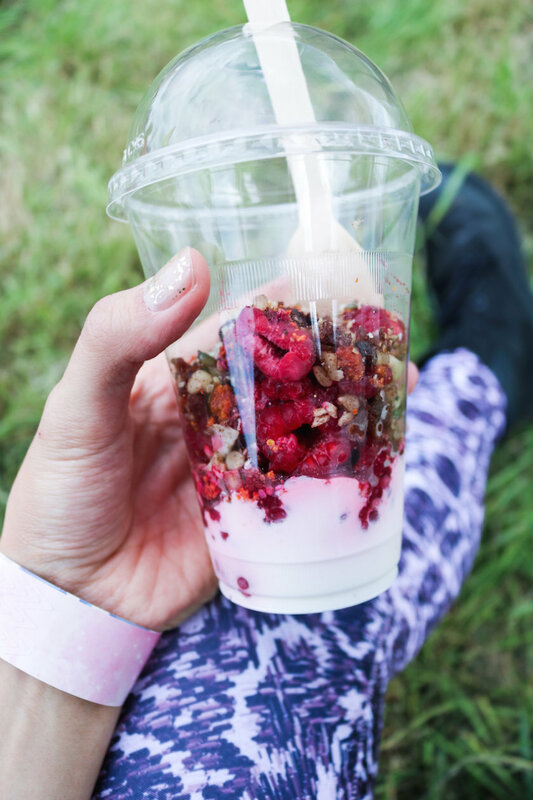 Find the loudest leggings, find the spangliest top, and top it all off with a douse of glitter and you’ll be yoga-festival-ready in no time. I recommend high-waisted leggings from Yogangster – electric purple snake print and super flexible fabric that moves (and breathes) with your body as you twist and turn; perfect for both yoga and having a bop to the live music. 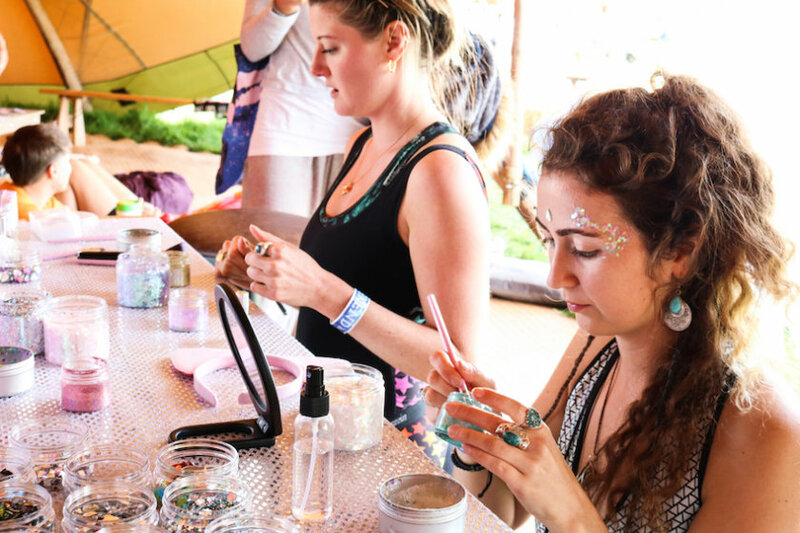 Glitter: Even though it’s all about yoga, a festival’s not a festival without being drenched in glitter. I brought my own as, like I said, you gotta always be prepared. 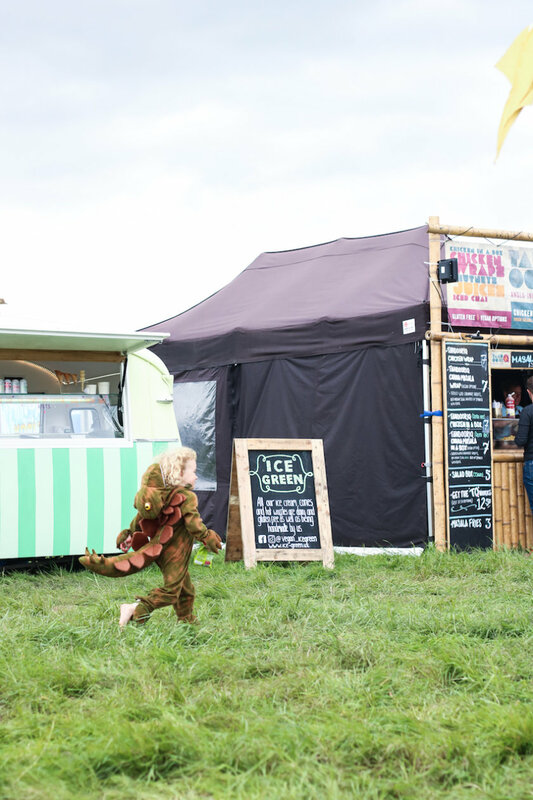 But we had the lovely ladies from Shine Shack there ready to make us glisten and shine throughout the whole weekend. Flower Crown: A flower crown is optional, but since I had a stunning bespoke Crown & Glory crown, I simply had to top off the ensemble with these blooms. Check them out for more colorful options for your next festival! 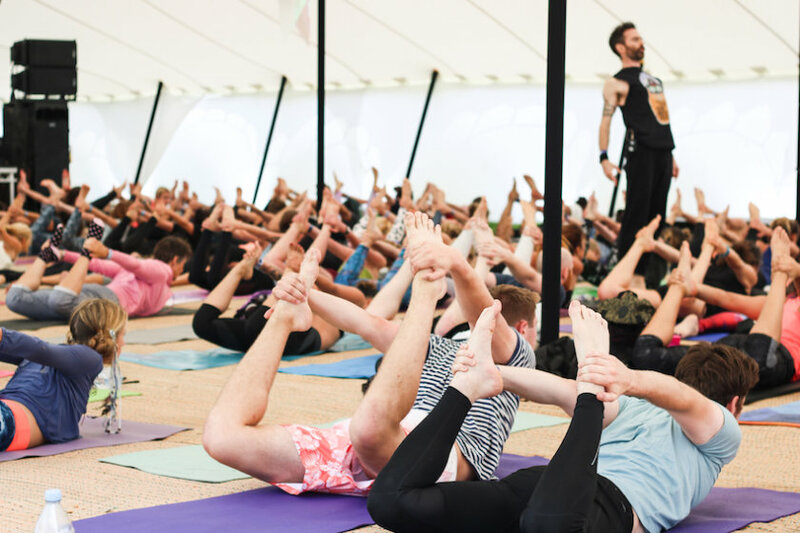 So you’re all ready and set to hit up your first yoga festival! But now to let you in on what actually goes down. 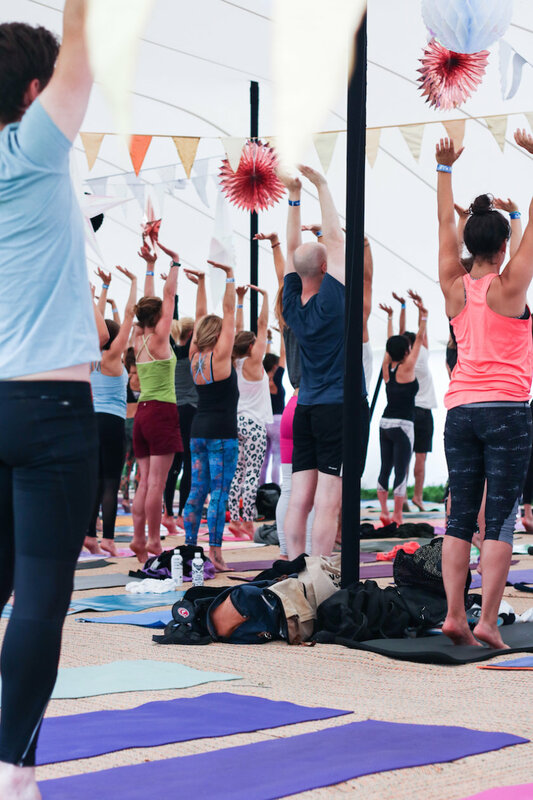 With itineraries set out into YOGA, AERIAL YOGA, PILATES, SPINNING, WELLNESS and MUSIC, there was a lot to get through. Spread across a manageable two fields so you didn’t have to walk miles to get to anything, there were a collection of tents encircling greenery and hay bales. With fluttering flags raised high into the sky and turrets of the main Galaxy tent, it was small enough to not be overwhelming, but still had a fantastic vibe. Acoustic music poured out of the SoulCircus Canteen where you could feast on raw energy balls, Rude Health granola, freshly whipped up eggs on warm bread, yoghurts and raw cheesecake during the day… and then the kitchen churned out decadent veggie pies, warming curries, tagines and veggie-stuffed wraps when the sun went down. 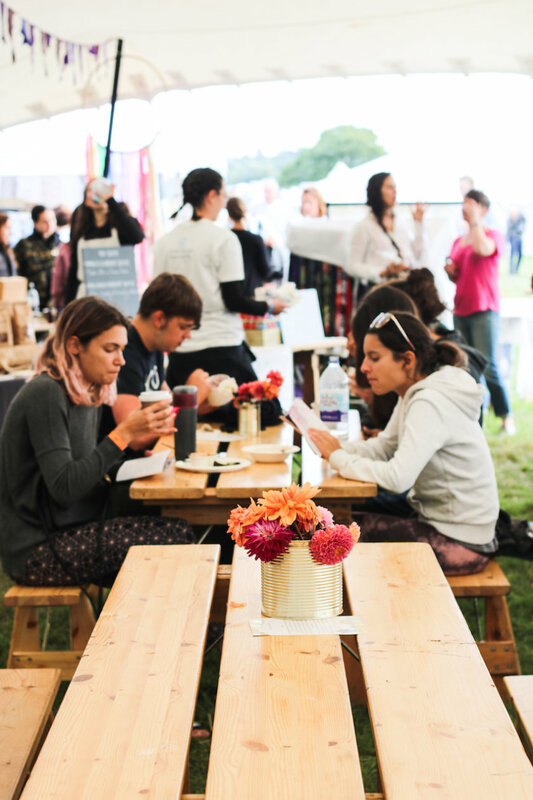 Whilst waking up, sit in the canteen, chat, absorb the atmosphere and drink gallons of coffee in the golden morning sun before hitting your first yoga session of the day. 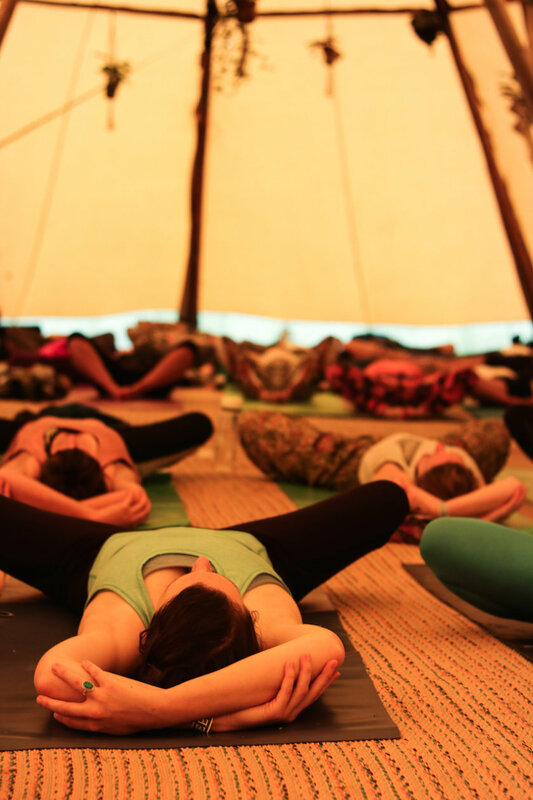 With one open tent, a snug closed tent and a grand ‘main stage’ tent, back-to-back yoga sessions were scheduled throughout the day. 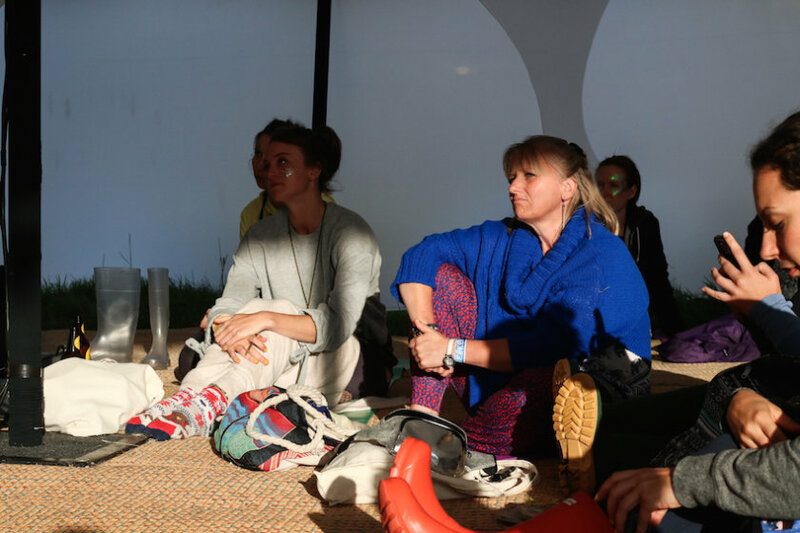 There was the slight issue of not knowing what kind of yoga you were getting yourself into as the festival programme only had cryptic names for the sessions…. but that made it quite an exciting adventure. 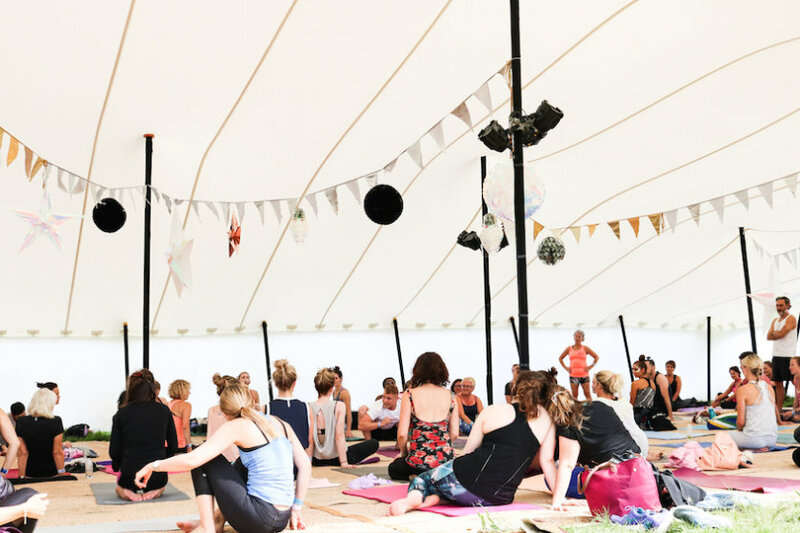 I found myself in the gorgeous Flaming Phoenix tent with plants in twee hanging baskets dripping from the ceiling – the energy was electric during ‘Song Bird’ yoga and we were soon singing and dancing by the end of the session. The main tent was were all the headlining acts occurred. With a capacity of 150 yogis, big sound systems and a DJ booth, this was the place to get into some power yoga to spinning tunes. The headliner was Maxi Jazz, from Faithless, who spun the decks as we were subjected to 90 mins of power yoga flows as the teacher talked us through the flows through the mic. Just imagine 150 people saluting the sun in time to a Faithless DJ set – yep, it was incredible. 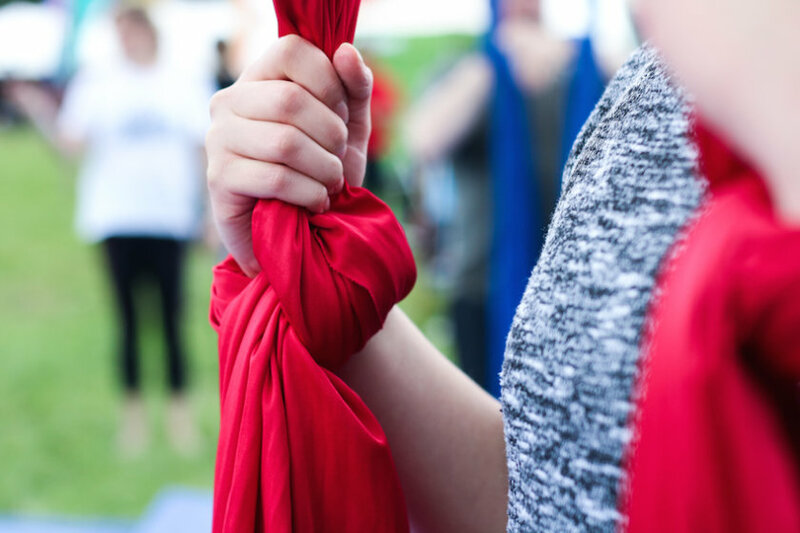 If you want to get real experimental with your yoga practice, then sign up for a session doing hoop yoga or silks. Climb high into the air on the rigging and twist upside down on flowing silks as an instructor looks after you every swoop of the way. 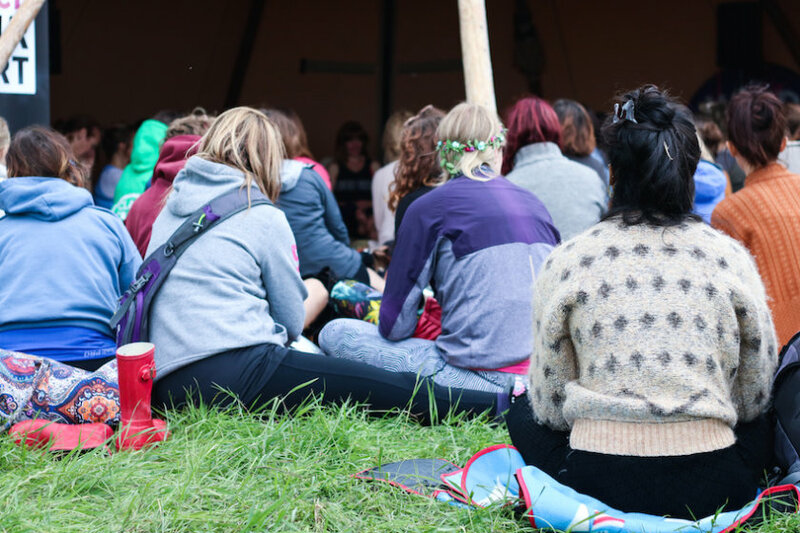 From talks on Buddhism to lectures on aromatic oils, these wellness tents were where you went to glean some education. 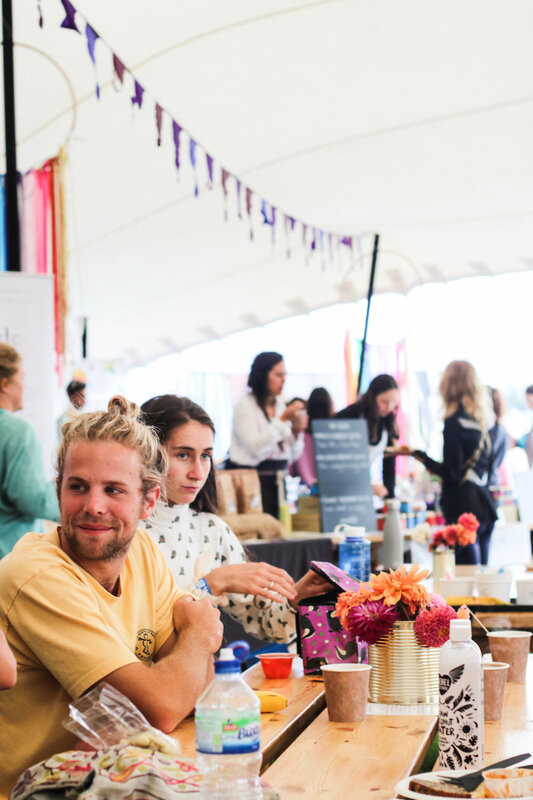 A variety of speakers hosted the tents, including Will Young talking about ‘The art of listening‘, entrepreneurs teaching how to smash goals, and sessions on the art of mindfulness. 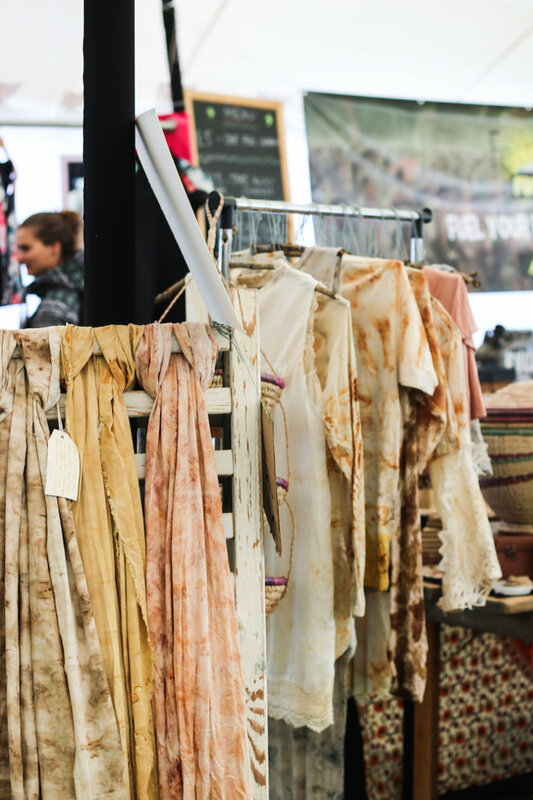 You can also do workshops and learn how to use natural dyes – take an actual skill home with you! 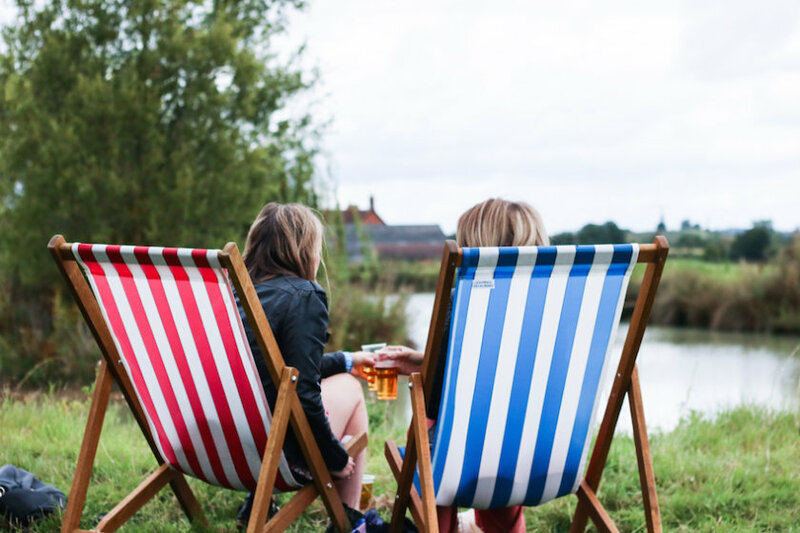 With a spa on-site and hot tubs tucked around by the lake, there are plenty of opportunities to unwind and just take a breather from the endless activities. And let’s face it, doing yoga high on elation and Prosecco (guilty as charged) is likely to lead to some sore muscles. 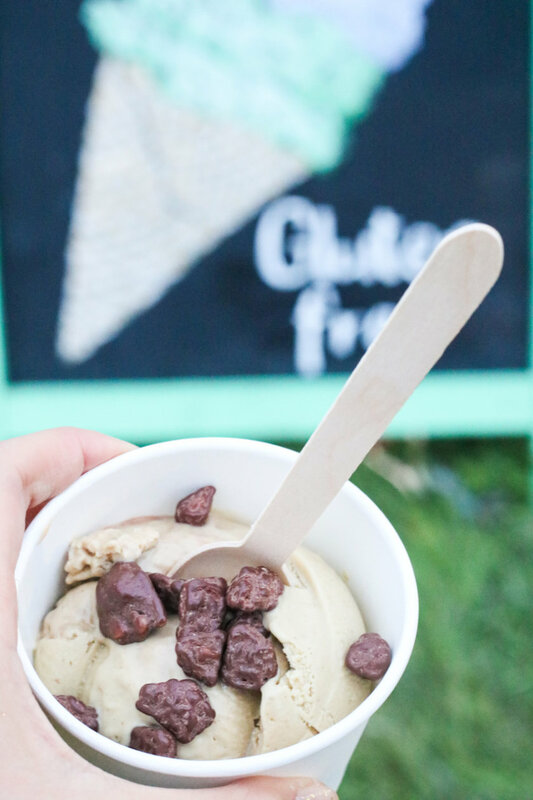 Or just find solace in vegan, dairy-free ice cream and revel in a naughty/healthy treat. But power through your busy days and shake off those sore muscles, as the nights are full of music from live bands and DJ sets. 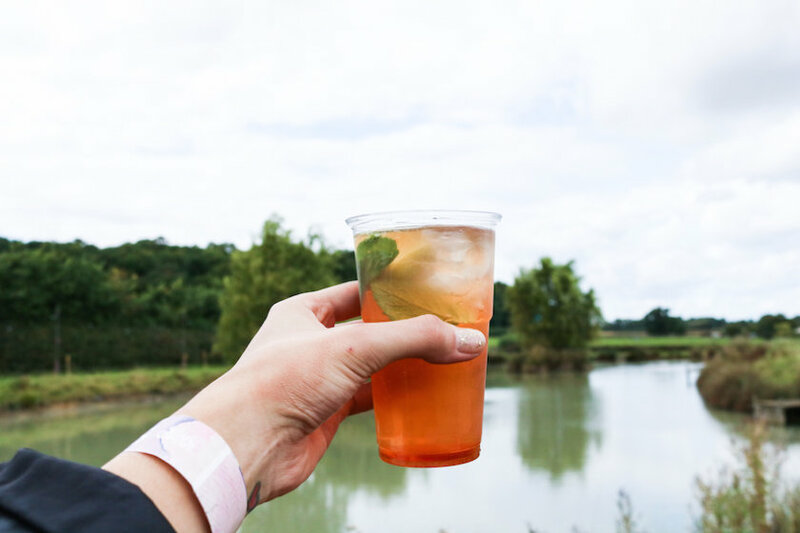 Don’t worry, they do serve booze all day so you don’t have to live completely clean for the weekend (God forbid!). Saturday night is where all come out to play as music pumps late into the night finishing with a woodland rave. 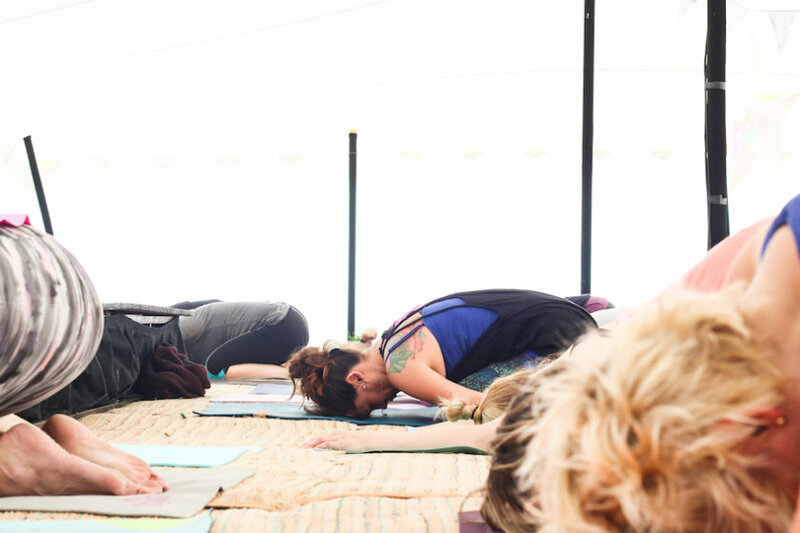 When attending your first yoga festival, you’ll be astounded by how goddamn HAPPY everyone is. 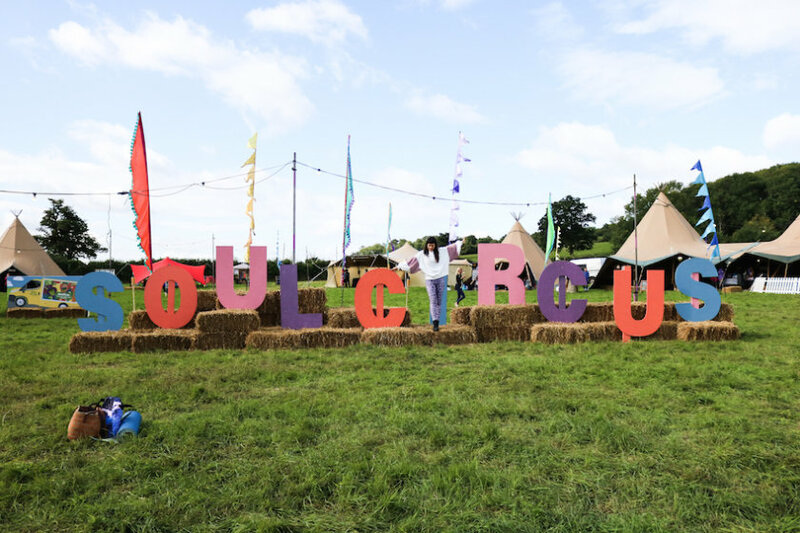 The vibes and atmosphere were simply radiant at SoulCircus, making it feel more like a camp or a retreat than a festival. 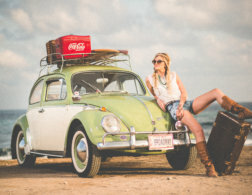 It was as if there had been a secret ‘no dickhead’ memo which had been circulated – everyone who made an appearance was just loving life and all who dwelled in it. 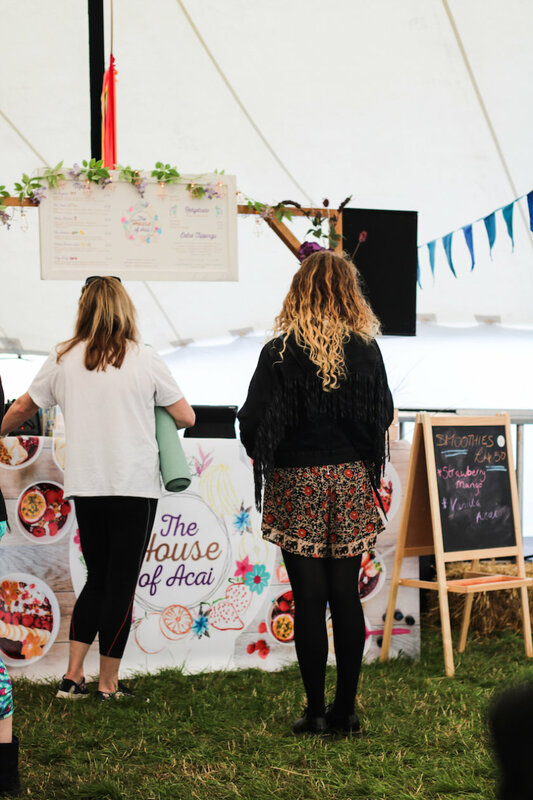 Head to a yoga festival to move your body, nourish your belly and feed your spirit, to leave feeling untouchable. In today’s world, an experience like that should be grasped and cherished. Many thanks to SoulCircus for hosting me. Tickets for the 2018 event are now on sale. All photographs by Sophie Saint. 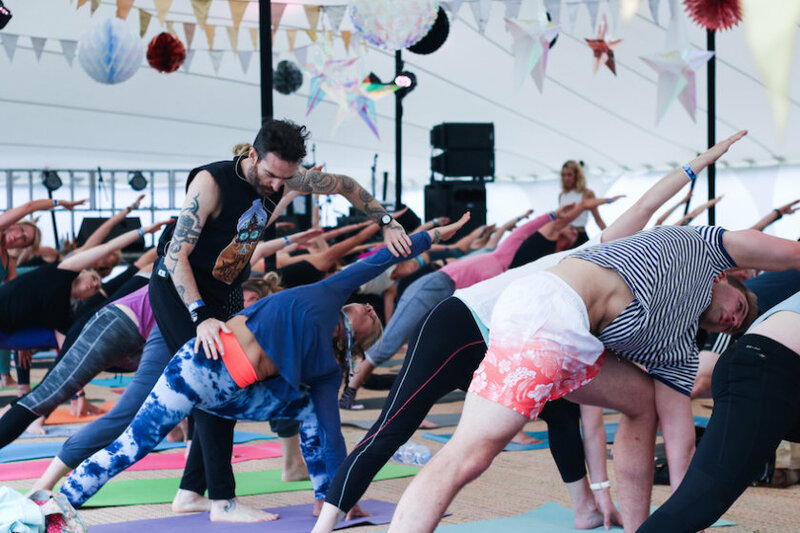 A yoga festival sounds much more like my thing than a full-on music festival. 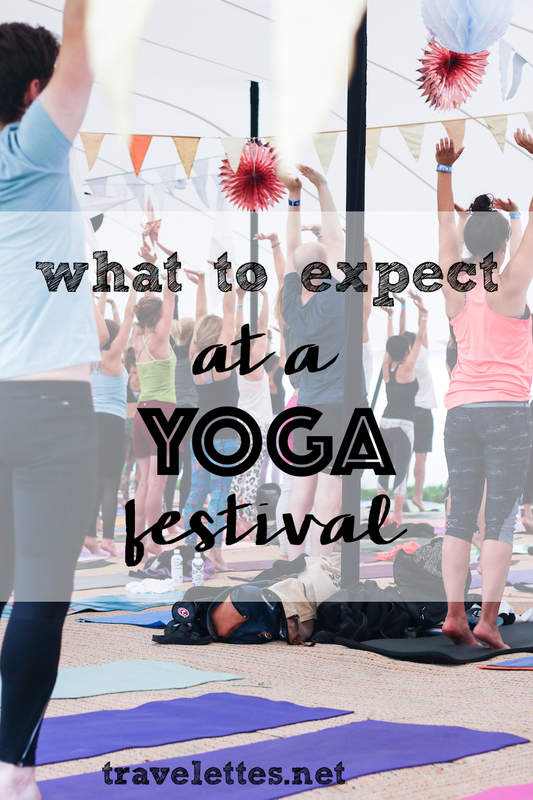 I love the concepts explored during a yoga festival. This looks absolutely incredible!! Booking my tickets for the next one already.